To use Activio Virtual Trainer the instructor need to have access to the Class Designer on myActivio.com. If you are an instructor and need access to this tool, please contact: support@activiofitness.com. 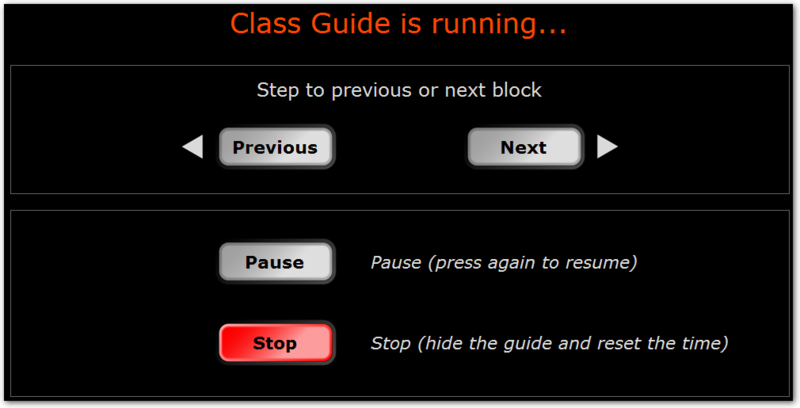 Then press the Virtual Trainer > Class Guide button. Enter your myActivio username and password to download the profiles you've created on myActivio.com with the Class Designer tool. If there is no valid Activio License a warning message will pop up and inform the user and the download will not work. Show a small curve on the Gauge view - this is recommended and shows a small class profile curve together with the Activio Gauges (otherwise only the full screen mode will show the class profile). Put the small curve above the gauges - If checked, the small class profile curve is put above the gauges, otherwise they are put below the gauges. Show the profile name on the full screen curve - If checked, the Class Profile name is shown as a title above the class profile (only in full screen mode). This is recommended as an introduction of your class profile to the members. Start/Stop myActivio together with the profile - If checked, all users that are already logged in with a user profile will have their start time reset to the time when the Class Profile is started. 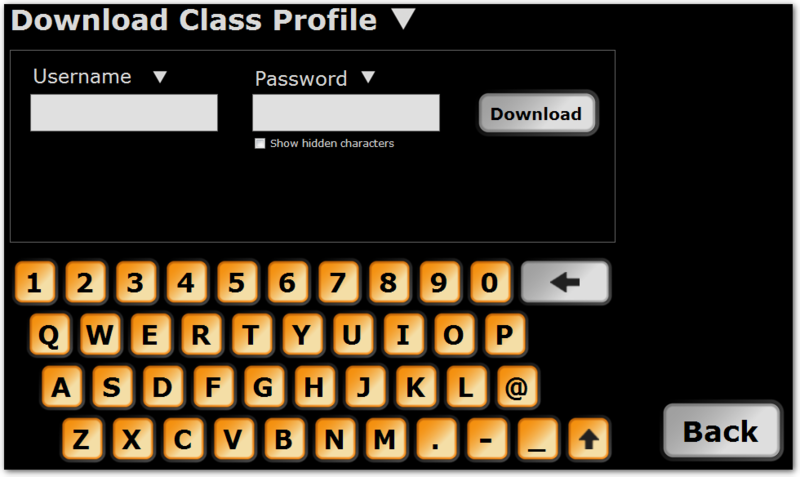 Any user logged in after the Class Profile starts will not be affected. When the Class Profile reach the end (time = 0), the users will be automatically logged out and the heart rate uploaded to myActivio. Note, if the class Profile is stopped when there is still more than 60 seconds left of the Class Profile, the users will not be logged out. 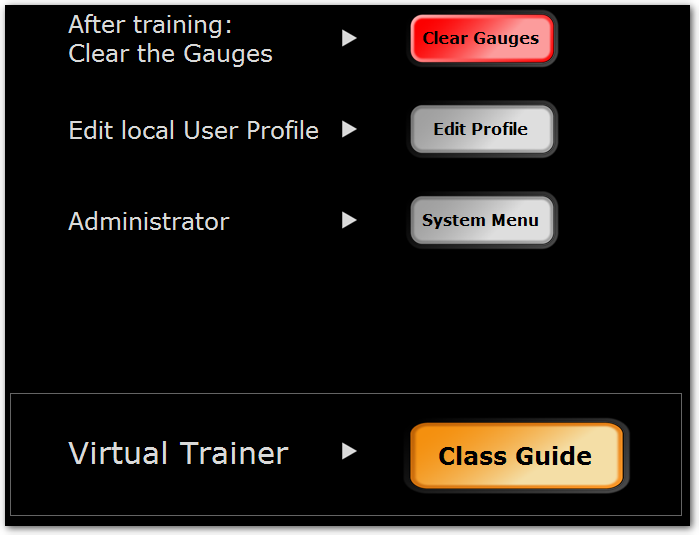 On the user admin page, press the Virtual Trainer > Class Guide button. NOTE! If the system doesn't have a valid Activio License or is not connected to Internet, Virtual Trainer is disabled until resolved. Select your Username (myActivio account), then select the Class Profile to run, make your selections with the check boxes (see the description below), then press Start. When the Class Guide is running the profile can be managed in different ways. 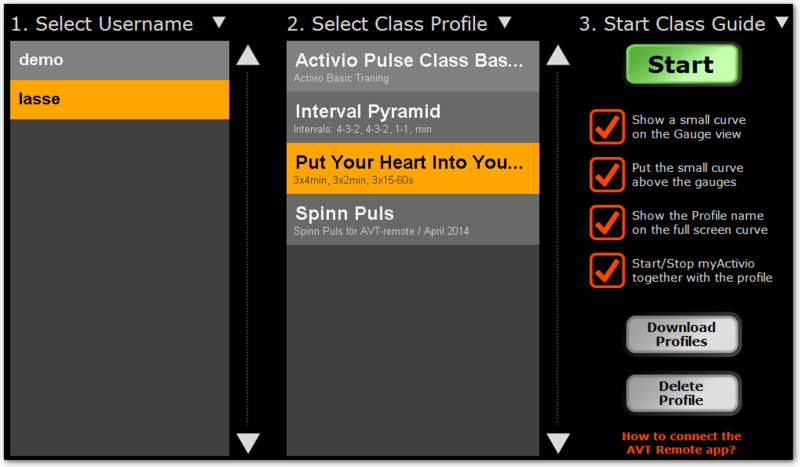 Press Previous or Next to jump to the blocks in the class profile (this is set in the Class Designer tool). Press Pause to temporarily pause the session and the resume it. This could be good to sync with the music. Press Stop to stop the Class Guide completely and remove the class profile curve. To delete any local profile, select the Class Profile and then press the button "Delete Profile".